Today I am sharing a feminine card for a family member or a friend featuring some gorgeous papers from Pion Design and some beautiful laces and embellishments from the Crafteezee shop. 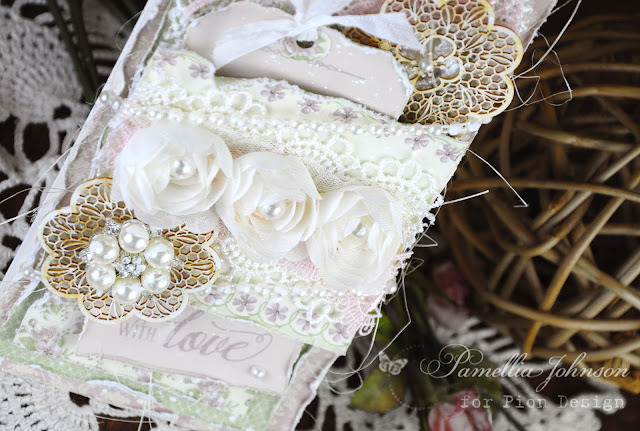 I have already admired your amazing creation on Crafteezee blog and LOVE the wonderful design and the amazing embellishments! Great shabby card, as you always do!! Big hugs, hope that all is going well for you and for your wild friends!! 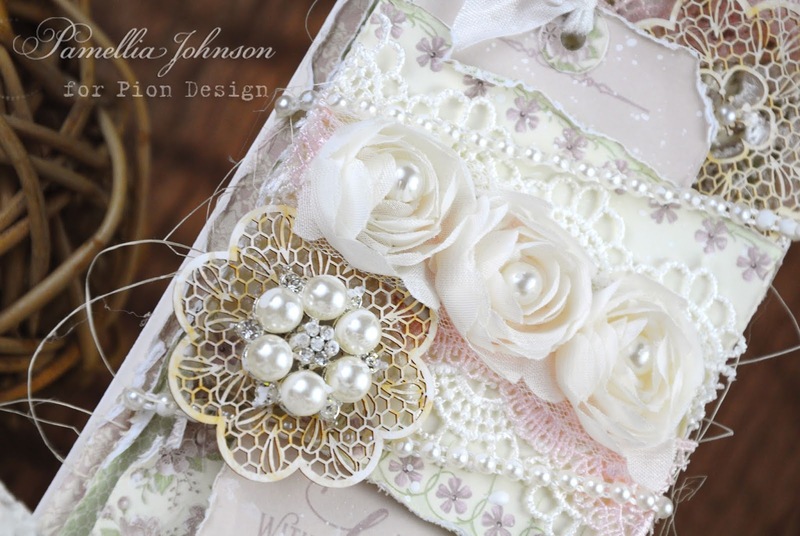 A luxurious card so frothy and feminine and so very beautiful. 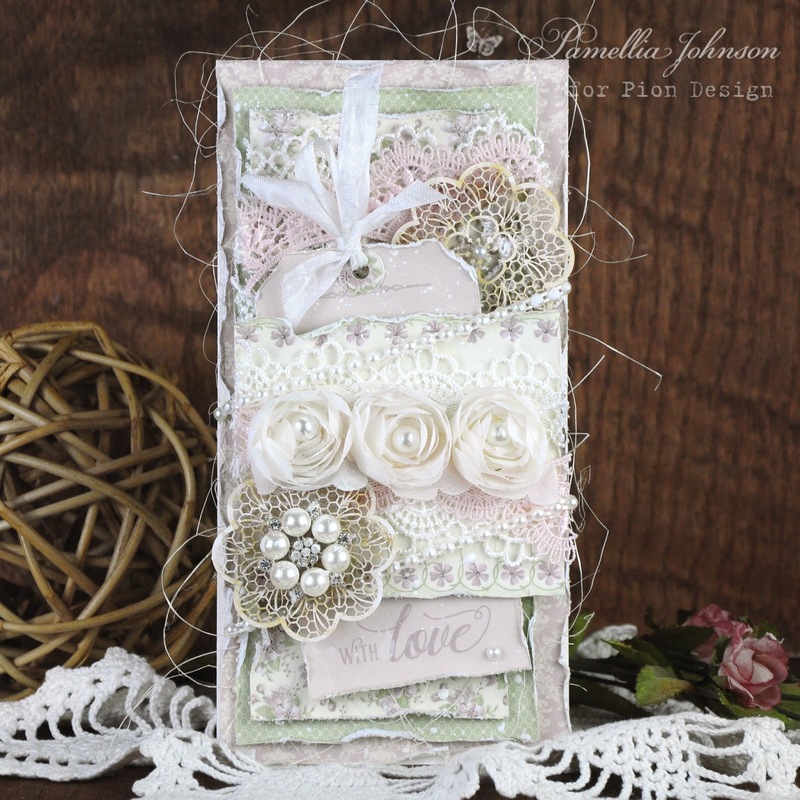 The recipient of this is very lucky Pamellia - just gorgeous as always! 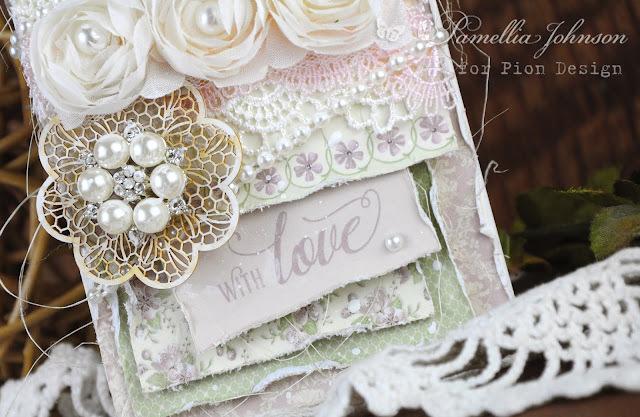 Another stunning card, I adore all of the gorgeous layers and beautiful embellishments. Another beauty! Those embellishments are gorgeous and your card is wonderfully designed! More hugs!